While smart phones are great, battery life isn’t. Whether it’s an iPhone, BlackBerry, or Android – none will last through an entire day of heavy use. While most smart phones have user-replaceable batteries, the iPhone does not. So what options do iPhone users have? 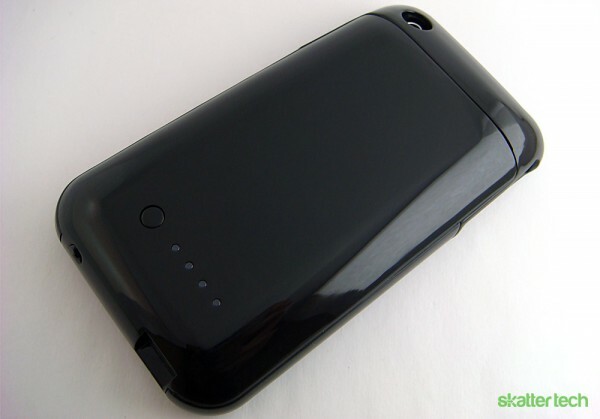 The answer is an external battery pack, such as the Mophie Juice Pack Air. This accessory integrates an external battery into an iPhone case, providing both power and protection. When the Juice Pack battery is enabled, the iPhone battery is charged just as it would if it were plugged into a wall. When the Juice Pack battery runs dry, the iPhone seamlessly switches over to its own battery. Let’s see how well it performs as a case and a battery. 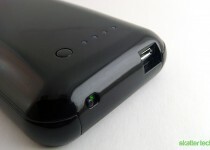 The Juice Pack Air is not the first iPhone case to bundle a battery, but it is one of the thinnest. Is it worthy of the title “Air,” though? Compared to similar battery-packing cases perhaps, but not compared to the average plastic iPhone case – remember, thin is a relative term. Carrying the Juice Pack Air around with me, I would be asked “Why is that iPhone case so thick?” Considering there is a battery tucked between the plastic sheets of the casing, it’s impressively trim, but the case’s design is no miracle. 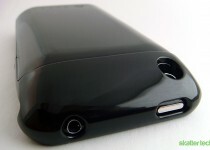 Compared to your typical iPhone case, the Juice Pack Air adds a noticeable bulging backside to your phone. Does it make it too large? Certainly not. Although much thicker, the new width and height closely resemble the dimensions of “jumbo phones” such as the EVO 4G and the new Droid X. That said, Mophie put some real thought into the design of their Juice Pack Air, and it shows. The curves of the Juice Pack feel good in the hand, and it fits snugly around the iPhone while avoiding being difficult to remove. 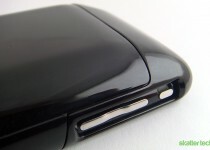 The Juice Pack obscures all access to the dock connector, and in exchange gives you a Micro-USB port for charging and syncing on the underside of the device next to where the dock connector would normally be visible. This design choice by Mophie deserves special praise because as soon as you plug your iPhone into the Juice Pack you gain freedom from using Apple’s proprietary cables and instead get to use industry-standard USB cables, which are much cheaper. On the flip side, accessories such as the Blue Mikey, will no longer work. Next to the micro-USB port is an easy-to-access power switch for activating the battery. On the backside, four blue LEDs sit next to a small button flush with the case; pressing the button displays the remaining battery capacity. A minor complaint of mine is that the LEDs are overly bright and far from being discreet; luckily, they do turn off after a few seconds and the activator button isn’t likely to get accidentally pressed. While it has a fairly good design, is aesthetically pleasing, and is durable, there are a few flaws. It’s hard to tell whether the Juice Pack Air can stand up to a year or two of use. The glossy plastic finish makes the Mophie feel somewhat cheaply, especially for a $80 price tag. And the exterior is extremely vulnerable to scratches. Coins and keys have it looking worn down in no time. Another fault? The Juice Pack Air doesn’t include a screen protector, leaving the iPhone’s screen unprotected. 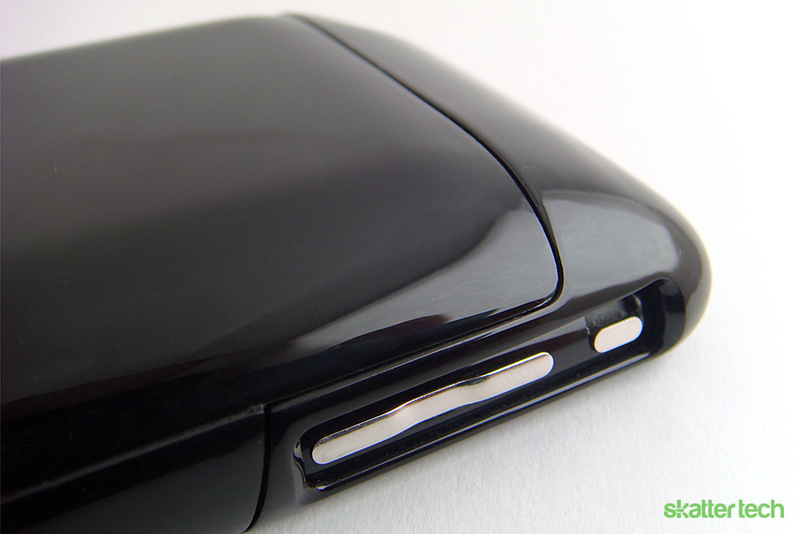 While valid solutions such as the Zagg InvisibleShield solve the problem, for a premium price, it should be included. But be warned, with a back-size shield applied to an iPhone, it’s going to be difficult to add or remove the Juice Pack Air case. The Juice Pack Air battery gave out at about 5pm and the iPhone battery took over. In other words, I tried to drain the battery, and by 5pm I had drained only the external battery, and the iPhone was still at 100%. I can’t speak for how accurate Mohpie’s battery life claims are, but the Juice Pack Air certainly provides enough juice to get make it through any data and talk-heavy day. In the end, the Mophie Juice Pack Air is a tradeoff. For instance, you gain more freedom from the wall plug and also the ability to use standard USB cables. In addition, by having the less-expensive Mophie battery take the brunt of the daily charge/discharge stress, you also save your internal iPhone battery from going through as many usage cycles and degrading over time. In exchange, however, you sacrifice much of the iPhone’s natural slim design. Plus, you pay a premium, $60-$80 is a steep price for an iPhone accessory. 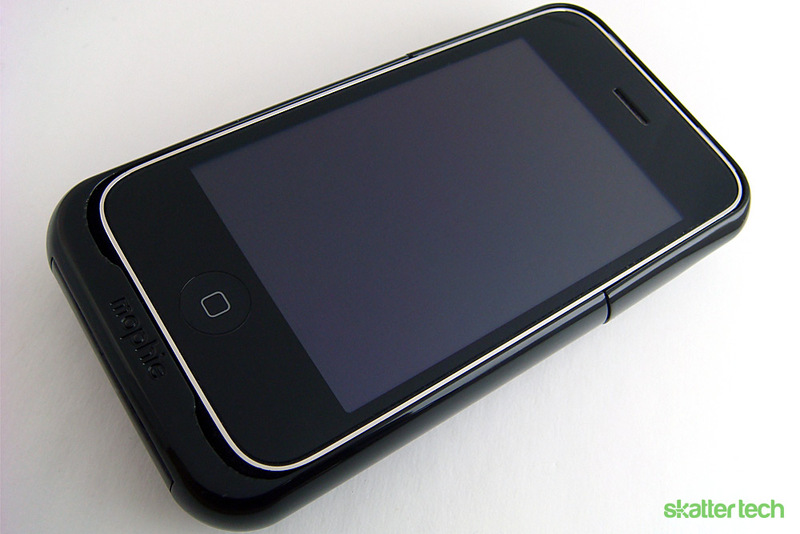 For most users, it’s unnecessary and the internal iPhone battery is sufficient to get through an average day. However, for heavy users and travelers, who may constantly lose power before the end of a day, the Mophie Juice Pack Air will be a great investment.